Q: Tell us about overseas support. A: Support close to the site location is absolutely important. 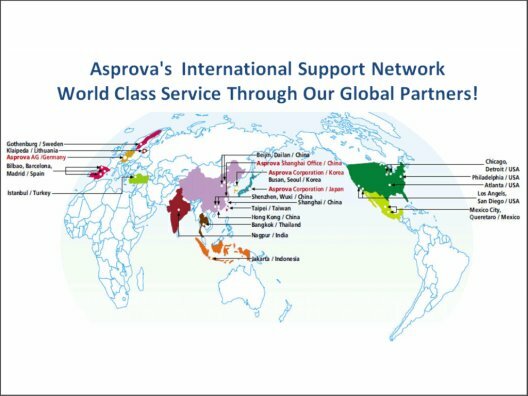 Since Asprova was founded in 1994, it has actively worked towards the target of global expansion. At the present time, we have developed the worldwide support network shown below and are covering all regions where the world's manufacturing industry is active.